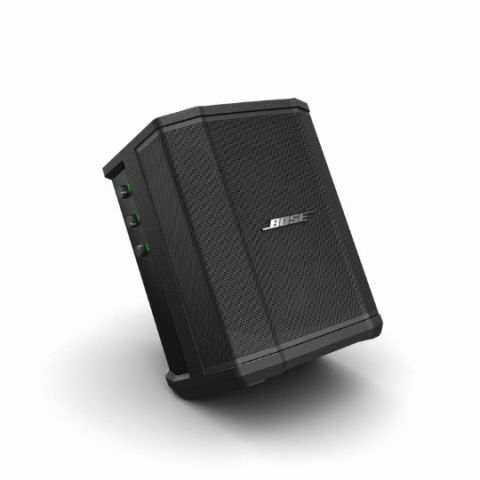 Audio equipment manufacturer Bose Professional on Wednesday launched ultra-portable Bose S1 Pro high-performance portable public address (PA) system for Rs 60,624 in India. The device is an all-in-one PA, floor monitor, practice amplifier and primary music system, which is available through authorised distributor LUXURY PERSONIFIED LLP, the company said in a statement.The equipment is designed for DJs and musicians has technology developed for the lauded Bose L1 and F1 portable loudspeaker systems. The S1 Pro is designed to work in four different positions -- tilt-back, elevated, mounted on a speaker stand, or placed on its side (as a floor monitor). The built-in sensors detect positional changes and trigger Auto EQ, which automatically recalibrates the system's internal settings for each different placement/application.